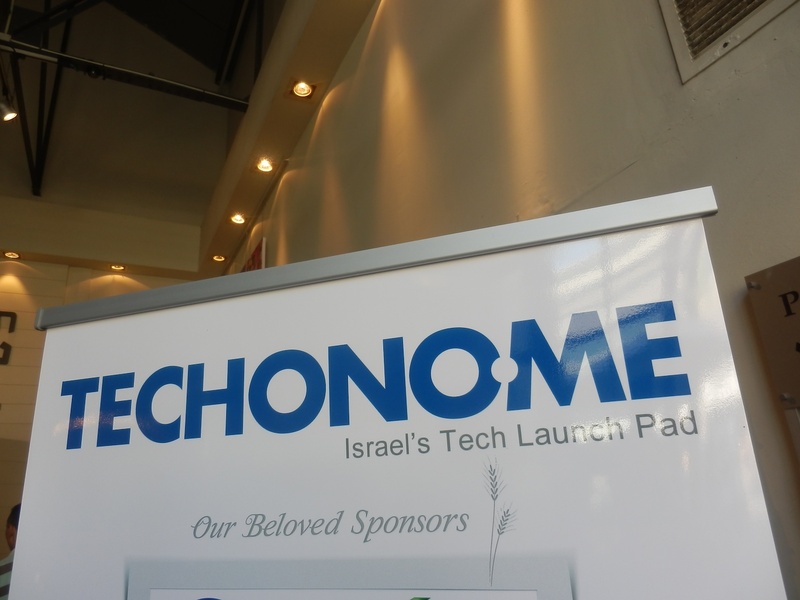 Coming to you live from sunny Tel Aviv, where six carefully curated Israeli startups are having their big debut on stage at the Techono.me conference organized by Orli Yakuel and her team. I met with the startups earlier this week to prepare for this post, and I have to say, they are truly very interesting. Here’s a quick run-down of the finalists competing in the startup competition – they will be judged by experienced entrepreneurs and investors but the audience decides on the winner – and I plan to do a longer post on the winner tomorrow. Conceived by a husband-wife team (both are computer scientists and seasoned entrepreneurs by the way), 24me is a mobile app that helps users organize their daily lives to avoid unnecessary stress and time constraints. The app is a hybrid of a to-do list / automated task manager / reminder service but also – and this is key – offers users the ability to complete certain tasks without having to leave the app. This includes paying due invoices (for hundreds of service providers, ranging from utilities to their phone bills), sending friends gift cards for their birthday and getting others to get things done for you. The latter part comes in the form of an integration with TaskRabbit, helping users find people willing to perform small tasks (run errands, walk their dogs etc.) for them. I was told that this is the first iPhone app ever to integrate with TaskRabbit in that way. Also worth noting: the 24me app comes with speech-to-text support so you can enter any details easily and rapidly. Launching today for iOS, the idea is to go cross-platform in the future, Web included. The startup is focusing on the US market first and foremost. Billed as “the right way to meet the right people”, Heystack is a startup that aims to fix the online dating conundrum by focusing on user experience and by leveraging the social graph of its users to enable meaningful connections. The startup’s mobile app integrates smartly with users’ Facebook graph and iOS address book to make for relevant matches. Evidently, the app only enables connections between people who are open for a (new) relationship as indicated in their Facebook profiles and the information that can be searched and viewed is all public. The most interesting thing about Heystack is that it also comes with interactive features, enabling people to make VoIP calls (thanks to Twilio) and message each other from within the app. That’s also the (freemium) business model: monetizing the communication features and possibly giving users the ability to buy ‘promoted spots’ in the future. The application is iOS-only for now – although you’ll have to be a bit more patient before you can get it – but an Android version is in the works. Ever wanted to be an undercover agent? This startup has got you covered. Mossad is a new location-based special operations game for iOS that makes clever use of modern smartphone technologies and augmented reality to marry fun gameplay with real-life activity and discovery. The game is super well-designed, and basically lets users complete missions (which evidently get harder over time) in any given city in the world – this is notable – and lets them earn credits and points whenever they make progress and achieve certain goals. The revenue model is based on in-app purchasing of virtual items and driving users to local businesses and merchants (smart!). Geonuts started a Kickstarter campaign for the game if you’re interested in learning more. You can also sign up for the closed beta today. This startup, called Rompr, is building a place where young parents can share and discover fun activities they can do with their kids (up to 12 years old, roughly). The data in the Rompr database is crowdsourced from users and can be about events (time-limited) and fixed places (e.g. the zoo). The service also learns from user behaviour and their social profile what to recommend. It’s a destination site, but an iOS app is also coming in November. The business model is largely based on booking tickets for things to do with children (thus bringing in affilate revenue) and buying sponsored ‘romps’. BetterInternet lets beginner and experienced Web developers and designers improve live websites without the need to install anything on their computers. Basically, the platform lets others ‘innovate’ existing online products with basic coding and CSS skills (a WYSIWYG is in the works). Publishers don’t have to integrate any code, and programmers don’t have to download or install anything to get started. ‘Modified’ – hopefully improved – websites can be shared with others, always linking back to the original source. Examples: revamped versions of Wikipedia and Craigslist. Think of BetterInternet as a way to crowdsource website improvements, which might ultimately lead to the development or discovery of entirely new markets of the ‘target site’ in question. The business model is unclear at this point. Learni is a fledgling education technology company that aims to create better learning ebooks, enabling users to navigate, search, mark and annotate them. Words that are ‘one-layered’ in actual books can be automatically linked to other sources for information (translation, Wikipedia, audio, search etc.). The Learni platform can take books and transform them into a digital, multi-level working exploration environment, social layer included, where students and teacher can interact and share and create rich, interactive notes (called ‘Insights’) on the study material. The idea is to make learning a collaborative effort. Teachers get access to a dashboard where they can check if students are paying attention, quiz them, track their progress and so on. Interestingly, Learni was made for Android tablets (for starters, at least). The business model is based on straightforward software licensing: the Learni platform costs $70 per student per year. Check them out and tell us what your favourite is – and why.